I've got a coleman Peak 2 stove. I tried pure gasoline (which is supports) and a lot of gas spilled out onto the stove and burned black, leaving soot all over it. Now the stove won't light. I'm not getting any fuel to the burner. (hardest option) Soaking in carburetor cleaner. Alcohol can (and does) eat certain types of seals. Do not use alcohol to clean the stove unless you are certain it is safe for alcohol fuel. Similarly, carb cleaner is extremely corrosive and will eat many different types of seals/gaskets. First thing to try is to disassemble and scrub with baking soda, dish soap, and a toothbrush. If that does not work, then move on to harsher cleansers. You may also have a clogged hose or some other problem. If you were using it according to the manual and fuel spilled everywhere that would indicate a big issue with your fuel delivery. I've owned these stoves for years, and am surprised you've got a problem after just one incident. The first thing to know, is that they can be dismantled and re-assembled relatively easily - so if you're feeling adventurous, you can take stuff apart and investigate - but be careful to have a clean surface, and not lose any small bits. But before all that, have you tried winding the flame control all the way round, beyond the MAX flame point? Doing so should push a fine wire inside the pre-heat tube through the jet, unblocking it in the process. Do it several times, light it, and do it several more times. And tap the whole thing as you go, to knock out any particles. And one more thing - are these stoves still available somewhere? I live in the UK, and would just love to buy another one, as my (cannibalised/rebuilt) example is on its last legs. 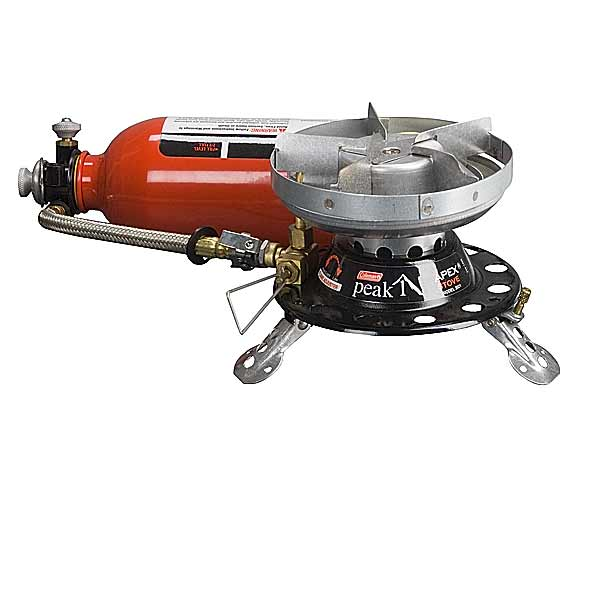 No other high altitude stove compaers, in my view! Not the answer you're looking for? Browse other questions tagged liquid-fuel-stoves or ask your own question.